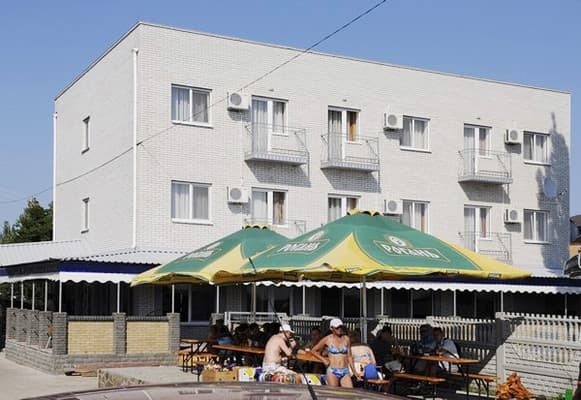 The hotel "on Slobodka" is located 200 m from the sea, far from the road, in a quiet and cozy quarter. The hotel has 12 comfortable 2-bed and 3-bed deluxe rooms. Each room of the hotel "on Slobodka" is equipped with comfortable furniture, refrigerator, TV, air conditioning and own bathroom. 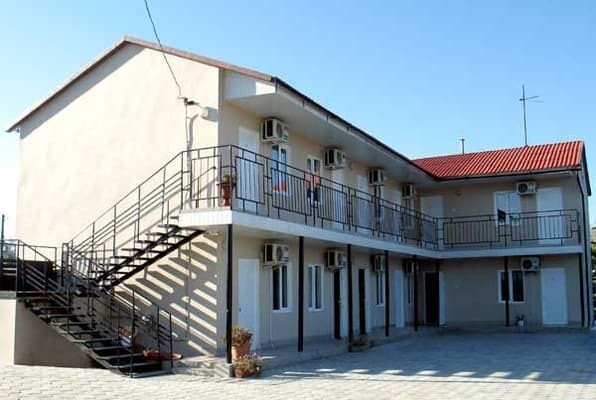 The hotel has an equipped children's playground, bar, barbecue grill and free parking. The hotel is equipped with all the most necessary for a pleasant pastime in the company of friends or family. The hotel guests can eat in the dining room, which is located on the territory of the hotel or independently prepare food for the equipped kitchen. The distance to the bus station is 5 km, to the railway station - 2.5 km. PRICES MAY CHANGE, UPDATE INFORMATION AT BOOKING. 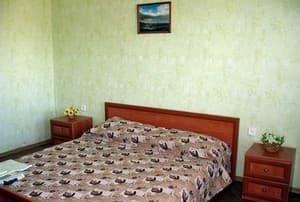 Description of the room: Spacious and at the same time cozy room for a comfortable stay of 3 people. The room has a double and a single bed or 3 single beds, a table, a wardrobe. Description of the room: Comfortable double room with everything you need for a comfortable stay. The room has a comfortable double bed, desk, TV. The cost of additional space is 60 UAH / day, a clamshell is provided free of charge. 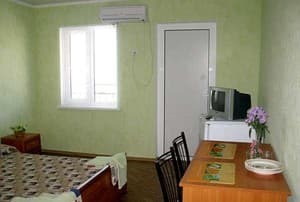 On the territory of the hotel there is a kitchen-dining room, in which there is all necessary equipment for cooking independently (gas cooker, the presence of dishes, washing). On request and at an additional cost, you can order food. 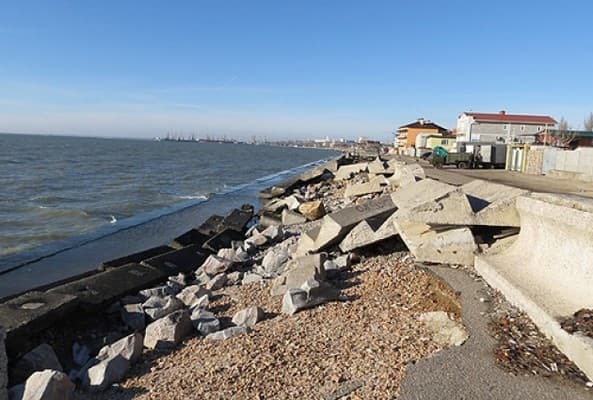 Hotel "on Slobodka" is located near the sea, 150 m from the coast of the Azov Sea. The distance to the bus station is 5 km, to the railway station - 2.5 km. Subject to early booking, transfer from the station is possible (free of charge).